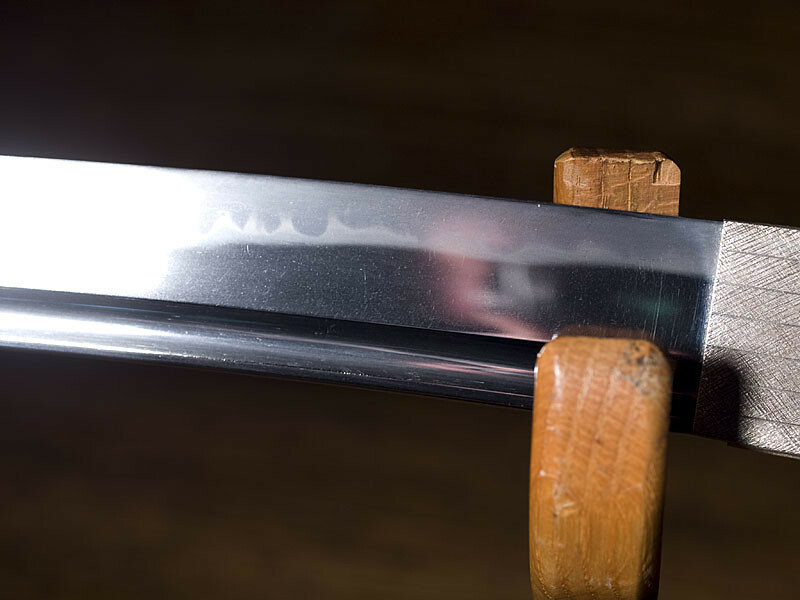 Shinsakuto made in the Bizen Ichimonji tradition by Masashiro. A tad over 29" nagasa with deep sori and bohi. 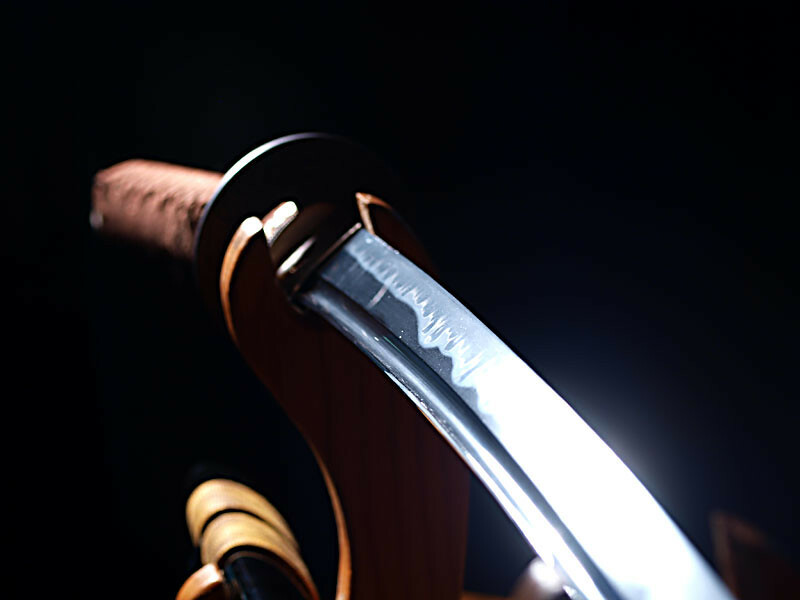 Purchased from Modern Tosho a few years back (photos are below from from Keith Larman at the time of the sale -- additional and current photos on request), this is long blade with a classic choji hamon in the Bizen tradition. 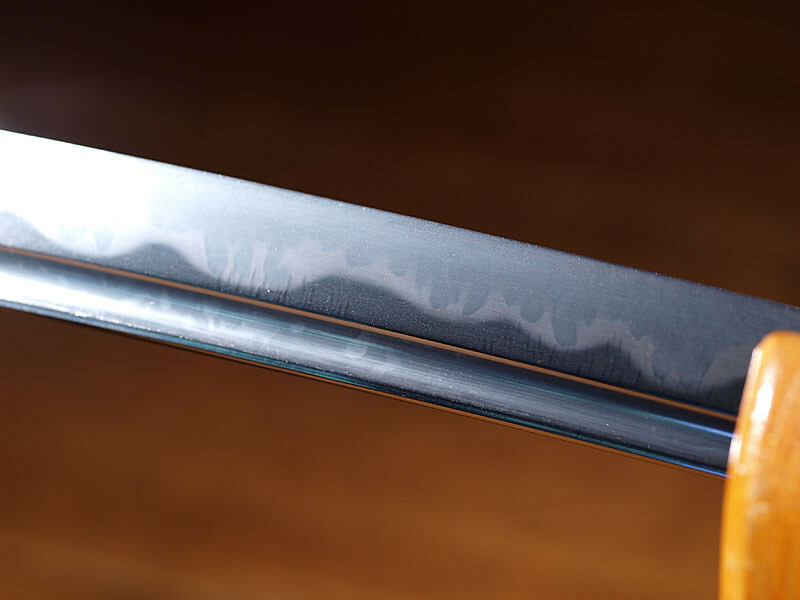 It's an elegant blade that is almost tachi-like in its proportions. 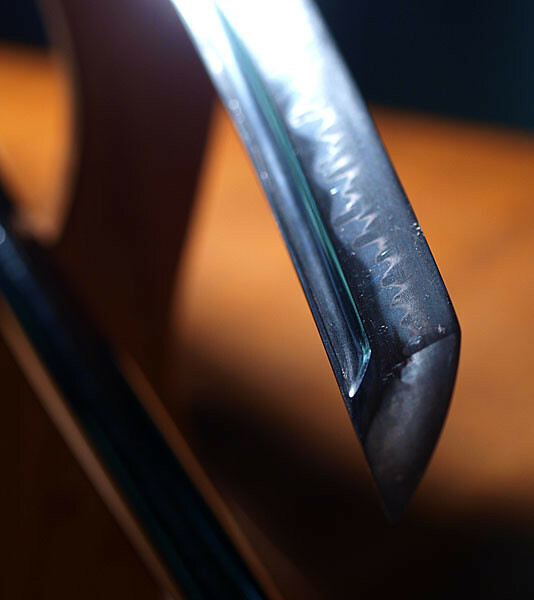 You don't see many blades like this for sale in the US -- it was made as an "art sword" that would sell for over twice the asking price if ordered new. 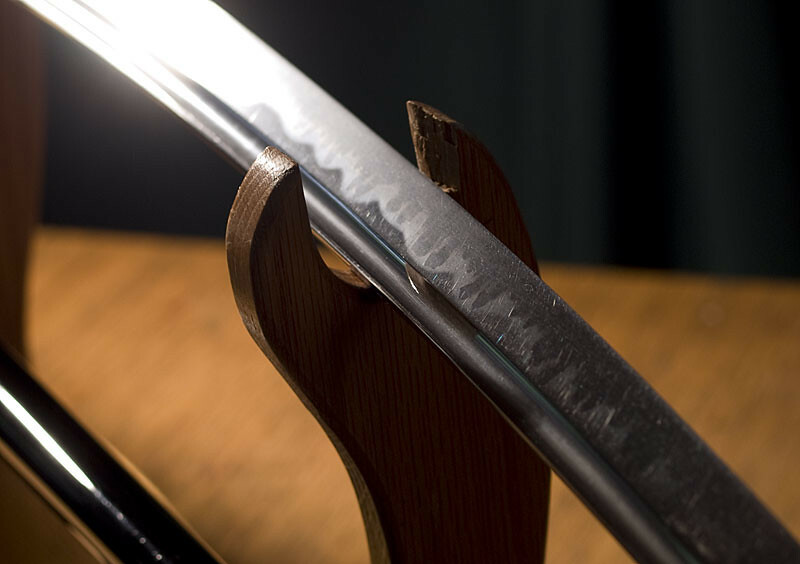 It's available now at a greatly discounted price based on use by the previous owner (a "high ranking iaidoka" I was told) for iaido and tameshigiri,. 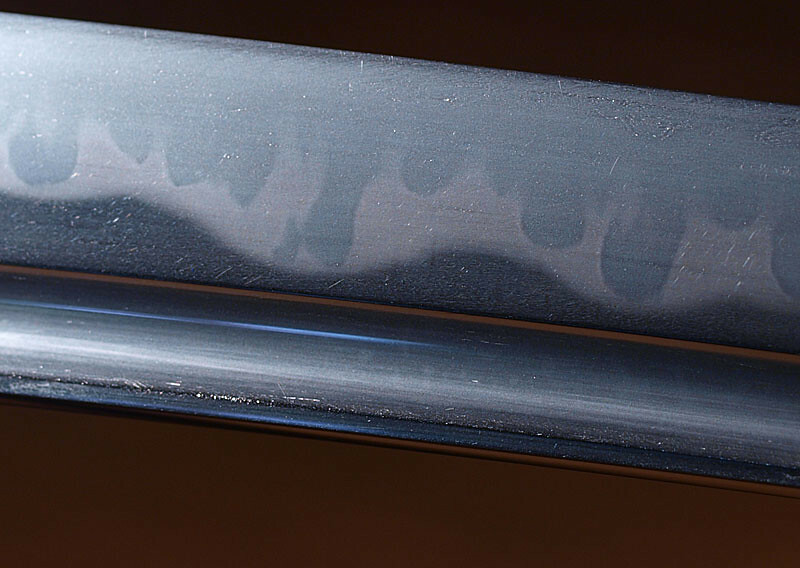 It has scratches and unfortunately sustained a bend that was corrected in the mune so that it's straight, but with shinae showing and a persisting warp in the ha that is noticeable, but does not affect tachikaze. I spoke with a US polisher who thought it could be corrected (references available on request), but I have not wanted to take the risk of having that done. It is fully mounted, ready for use. 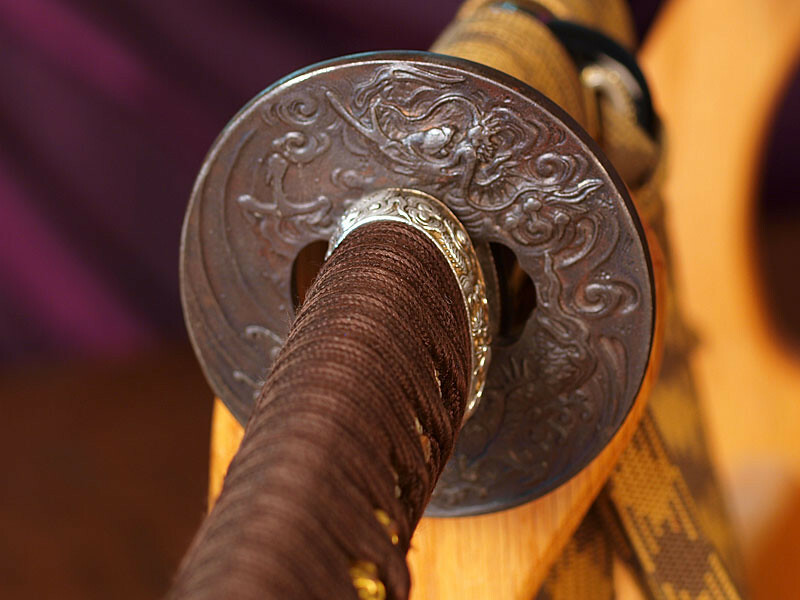 It would be well-suited to an iaito practitioner. I have enjoyed owning it as a collection piece, but it is time to find it a new home. is this sword still available for sale ?